Imogen's Typewriter. 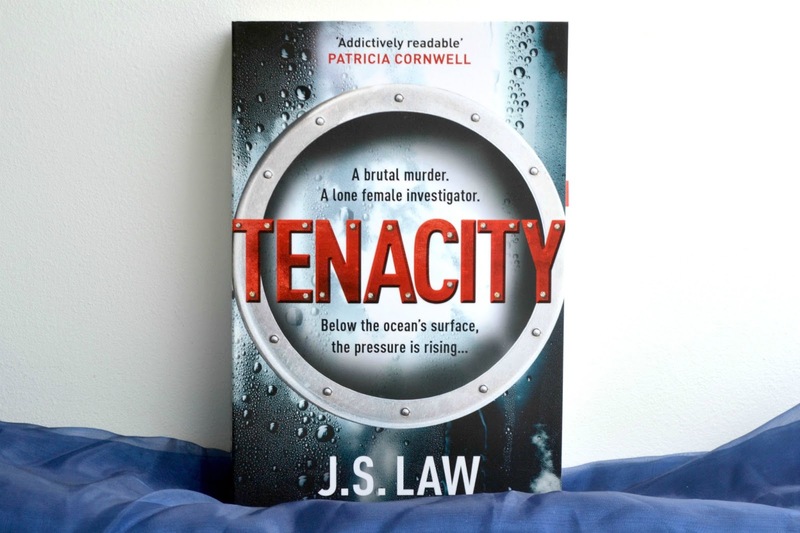 : Book Review: Tenacity by J.S. Law! I took Tenacity by J.S. Law* to Milan since I love a murder mystery when I travel and I'd had it for a while. In fact, I was sent it to review last year, picked it up over the Summer but couldn't get into it and put it down. What a dummy. I should have kept reading because after a slow start, this book blew my mind. Firstly, J.S. Law is a navy man and that means super accurate navy stuff. There's only so far research can get a writer when it comes to the way those kinds of operations run, but first-hand experience shines through in narrative. Never fear though, because since the main character isn't familiar with submarines, as the reader, things are explained well. I could feel the claustrophobia of the submarine, hear the rattle of boots on metal floors, sense the chill of the ship. It was really unnerving and completely what you want in this type of book. He also writes a female main character fantastically. She's not perfect, she's not weak or 'strong', she's not a Mary Sue. Dan is undeniably real and that's one of the biggest compliments I can give a male writer. Where so many fall down, J.S. Law stands tall. And the LGBT+ representation; it existed. In a military setting. And the fact that the military is awful about people who are gay is addressed. The relationship isn't idealised because they're gay, their sexuality isn't the whole of their personality, and there's definitely some internalised homophobia that I felt was addressed really well. J.S. Law wrote a relationship that was real, troubled, and not a cliché. At some point I should mention the plot, huh? It's a murder investigation story; wife gets murdered, husband kills himself, investigate. But there's layers and layers beyond that. The rare flashbacks are done really well and add to the story. The speed of the narrative slowed down, sped up, and just kept me reading late into the night until I finished. I had no idea who did it and the conclusion led onto what I'm sure will be a fascinating series. I also loved the Open University mention. OU represent! If NCIS is your jam, this book is a must-buy. If you like accurate fiction, the navy, female leads or murder mysteries, I highly recommend it. You can buy it here and the sequel cannot come soon enough for me! He was loud and had a personality that barely fitted through the main dockyard gate. Will you be picking up Tenacity?